“Tender, touching and totally absorbing’’ are just a few of the tributes paid to the author by reviewers. This is one of her earlier novels – she wrote children’s books, short stories and poetry too. Like some of her other books, The Lie is set in the aftermath of the First World War, and deals with the effects of that terrible conflict on the men who fought in it and returned home to find a world different from the one they had left, and on their friends and families: homecomings were not always easy for either group. 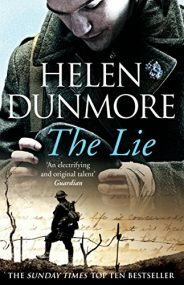 The Lie gives rise to many questions, without providing answers, but it is a thought provoking read.